Several years ago, at a local restaurant called Over the Tapas, I tried a lovely dessert: lavender crème brûlée. Before this I’d never had lavender as a flavor, only a scent, but I was immediately a big fan. After debating attempting to copy the dessert, I decided I should probably start with standard crème brûlée before moving on to something that seemed a bit more complex. Four years later I still haven’t made any sort of crème brûlée, but it still remains on the to do list. I’ll get to it some day. Maybe. In any case, I still love the idea of lavender in baked goods, so when Kristin from Pastry Affair posted her Lavender Vanilla Bean Cake, I knew I needed to try it. However, it turns out I’m incredibly lazy about making cakes so I still haven’t done that either. It did, however, inspire a new ice cream flavor for me to work out. Surprisingly, it only took me one try to find a recipe I am perfectly happy with, so I’m sharing it with you all today. 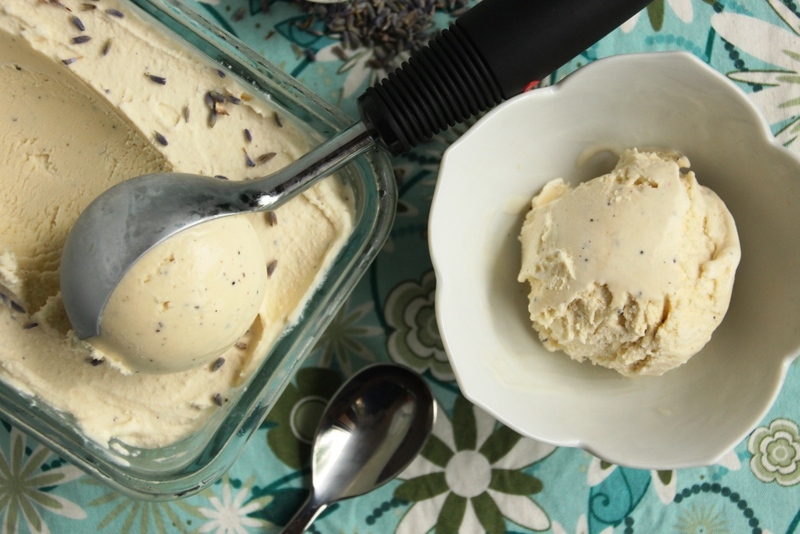 Delicate (but not subtle) lavender combined with the familiar flavor of vanilla bean, this ice cream is the usual smooth and creamy concoction with the somewhat unusual twist of lavender. As mentioned, it is not a subtle lavender but it’s not overwhelmingly strong either. I even got several opinions on this just to make sure I didn’t need to tone it down. It pairs beautifully with vanilla bean, as expected, and the black specs add a little bit of interest. I strained the buds from the ice cream but a few sprinkled atop each serving is pretty without making the texture strange. 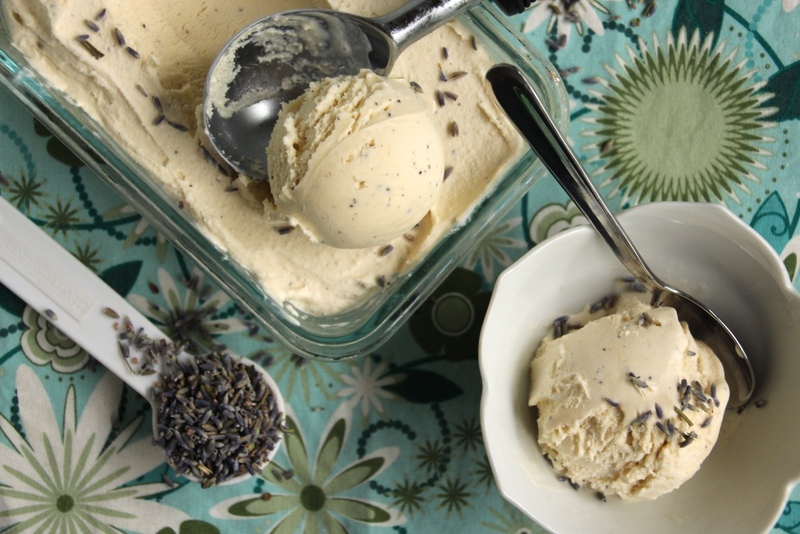 This lovely addition to my repertoire finishes up National Ice Cream Month. I hope you found a new favorite, or at least some ideas to think about. Thanks for joining me and I’m sure it’ll be back next year with a brand new round of flavors. 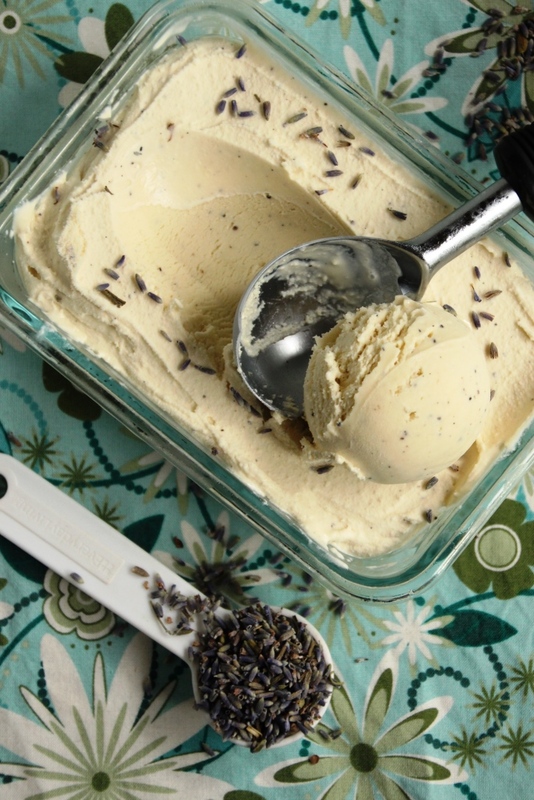 Gently crush the lavender buds with a spoon (or a mortar and pestle, if you’re fancier than I am). In a small saucepan, heat milk on medium until it just starts to boil, then remove from heat. Add lavender to the milk and allow it to steep for about 30 minutes. Pour milk through a fine mesh strainer to remove the lavender buds, pressing gently on the buds to release the most flavorful milk. 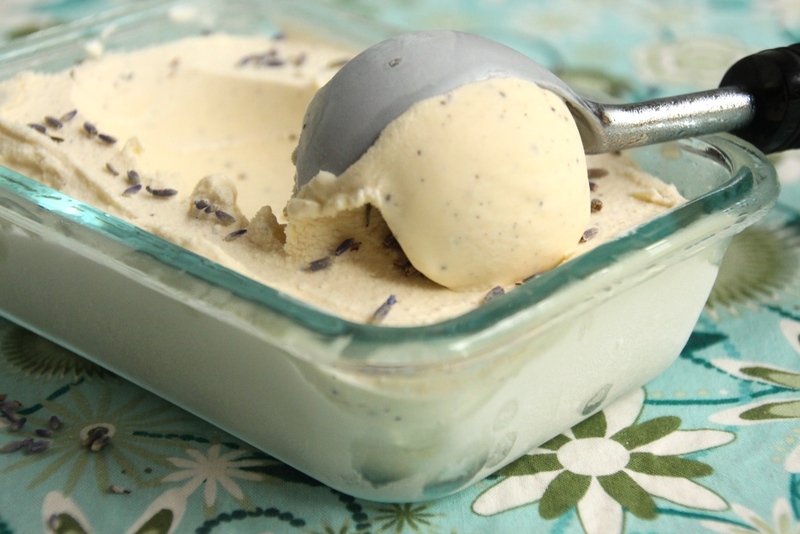 In a large bowl, whisk together remaining ingredients with lavender milk until completely combined. 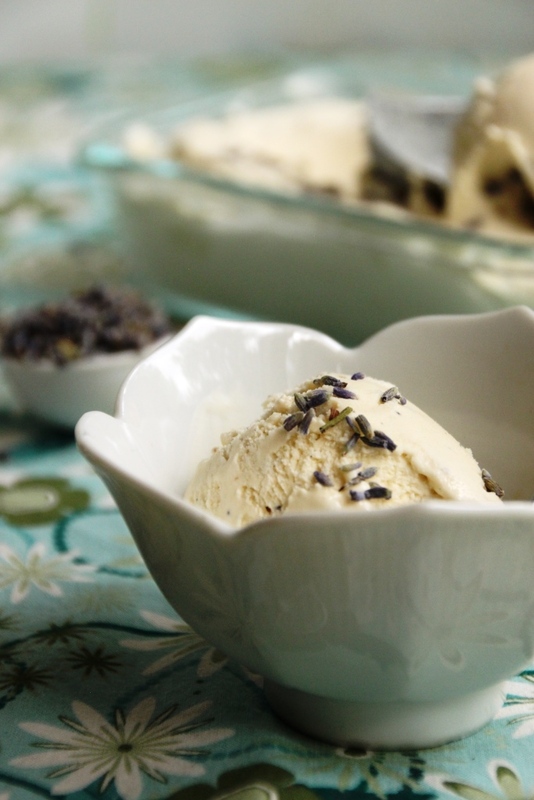 A sprinkling of lavender buds makes a beautiful topping. 1 I found that with the reduced fat from my usual recipe the ice cream froze a lot harder. I attempted adding a little vodka to rectify this, but I didn’t care for the added flavor. Instead, just let the ice cream rest on the counter for 5-10 minutes before you intend to eat it to make it easier to dish. You recipe looks amazing! What did you use for your egg substitute? Thank you! It’s one of my favorite flavors.